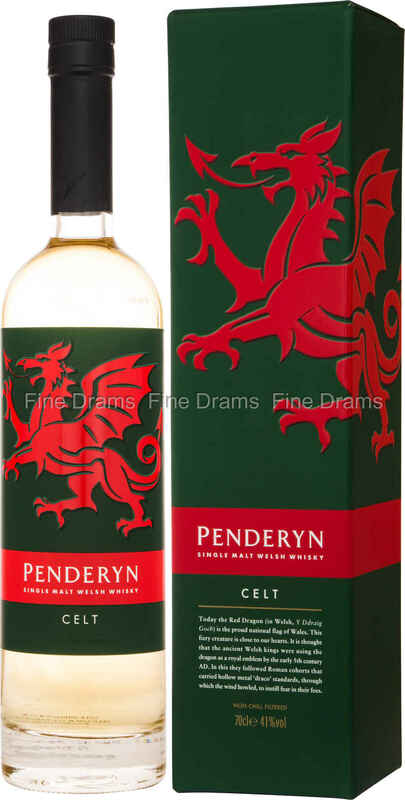 A wholly Celtic expression from the Welsh distillery Penderyn. This bottling was first released in 2015. This whisky takes Welsh spirit, and finishes it for a period peated Scotch casks, producing a single malt that partners both Scotland and Wales. The end result is a single malt Welsh whisky which is rich in vanilla, malted milk orange, woodspice with just a gentle wisp of maritime peat. A really interesting and delicious whisky, with an every so slightly savoury edge to it.